Our pledge since day one has been to treat the customer like family and put their needs above all else. Our experienced sales staff, equipped with the latest tools, are always standing by, ready to assist you in ordering, product selection, deliveries, and account information. We know that if our customers don’t succeed, then we don’t succeed either. 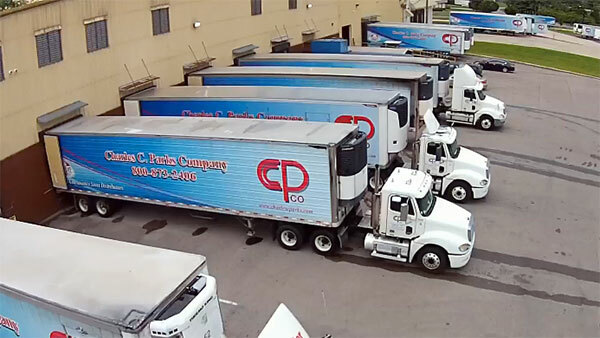 The Charles C. Parks warehouse facility is completely state of the art, utilizing the very latest technologies and developments in warehouse inventory management and voice directed order selection to streamline the process of filling customers orders accurately. Our trucks make deliveries on a daily basis, giving our customers the maximum in flexibility when it comes to keeping their shelves stocked. We are committed to technology to give our customers the best service possible. Our robust and flexible customer order placement systems enable us to provide service to the independently-operated store to the multi-unit store chain. Being fully committed to the needs of our customers and the commitment to the newest technologies only strengthens our relationship as partners with our customers and vendors. Giving proper attention to each of the hundreds of products you carry is a bit of an art form, but one that we can help you master. Our merchandising representatives do more than simply give advice. Instead, they go the extra mile. We have service reps already working in the field to respond to your unique challenges in floor space, shelf space, or personnel.